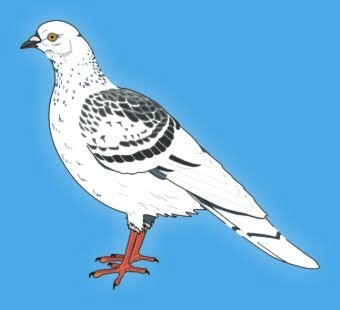 The white pigeon is peace. Your description of the solid cool block of peace pressing on the body and making it immobile makes it certain that it is what we call in this yoga the descent of the higher consciousness. A deep, intense or massive substance of peace and stillness is very commonly the first of its powers that descends and many experience it in that way. At first it comes and stays only during meditation or, without the sense of physical inertness or immobility, a little while longer and afterwards is lost; but if the sadhana follows its normal course, it comes more and more, lasting longer and in the end as an enduring deep peace and inner stillness and release becomes a normal character of the consciousness, the foundation indeed of a new consciousness, calm and liberated. By Force I mean not mental or vital energy but the Divine Force from above — as peace comes from above and wideness also, so does this Force (Shakti). Nothing, not even thinking or meditation can be done without some action of Force. The Force I speak of is a Force for illumination, transformation, purification, all that has to be done in the yoga, for removal of hostile forces and the wrong movements — it is also of course for external work, whether great or small in appearance does not matter — if that is part of the Divine Will.